We are a preferred roofing contractor in Willow Grove and we have served hundreds of satisfied clients and our list keeps increasing. We bring world class technology in this field and with our years of experience as roofers, we are sure we can provide you with nothing but the best when it comes to Roofing services. We are known as the most favored roofers in Ambler, Horsham, Willow Grove and many other places. We are well recognized and have won numerous awards because of our dedication and passion in this field. This video gives you the inside scoop on selecting a new roofing system, Cannon Roofing and Siding as the right contractor, and best materials to protect your biggest asset - your home. Most homeowners might need a roofing contractor once or twice in their lifetime. Be aware that you may choose the best materials, but if they are not installed properly by a reputable roofer you could have loads of trouble down the road. 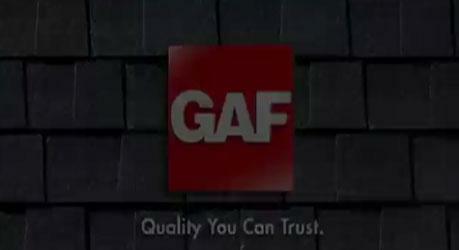 We're factory-certified by GAF Materials Corporation, North America's Largest Roofing Manufacturer and this means that GAF not ONLY warranties their product, but ALSO installation. Our foremen and installers are factory-trained in the best roofing techniques and are there to help you choose the right type of shingles for your home. There are typically 3 types (3 tab-budget friendly, Architectural and Designer). When you are ready to start your roofing project, there are 4 basic things to keep in mind. 1) Choosing the right shingle, 2) Make sure you are getting a complete roofing system, 3) Finding the right warranty. This means that a lot of companies offer product warranties, however those may not cover installation errors. 4) Make sure you choose the right company. Cannon Roofing and Siding offers GAF products and our installation services are covered under warranty as well.